Doctors and patients can now get a complete look at their own or their patients' health records across any medical facilities. 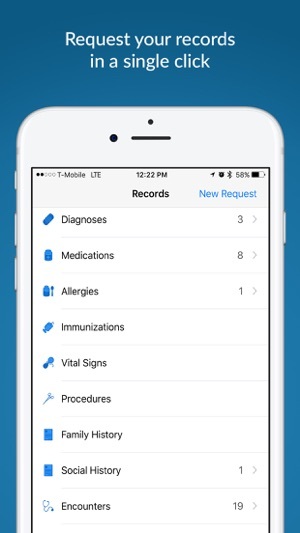 You can now request and store your complete medical records, including diagnostic lab results, vitals, allergies, immunizations, medications, hospital admissions, transfers and discharges, doctor visits notes, and even radiology reports. You can securely share some or all of your records with family members and other physicians and with other Apple HealthKit apps. 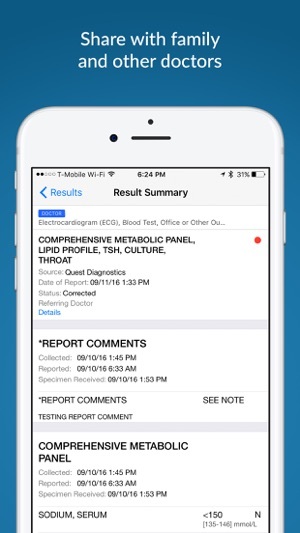 Subscribe to receive your lab alerts, exchange instant messages and photos, export your medical records to Apple HealthKit. Doctors and medical groups can now proactively identify and synchronize common patient records between any Electronic Medical Systems (EMR), Labs, Radiology and in-patient hospital systems using Health Gorilla national patient matching and Universal Charts. Once a common patient is identified across one or more providers - the system will send requests to synchronize the Universal Charts. 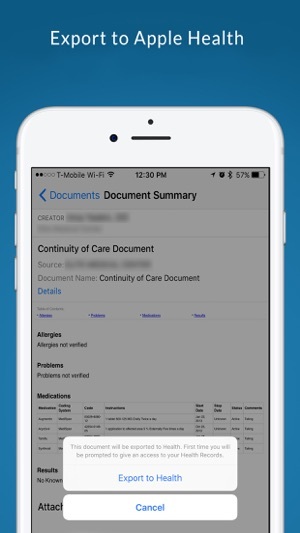 Don't just store data: automate your clinical workflows at the point of care! 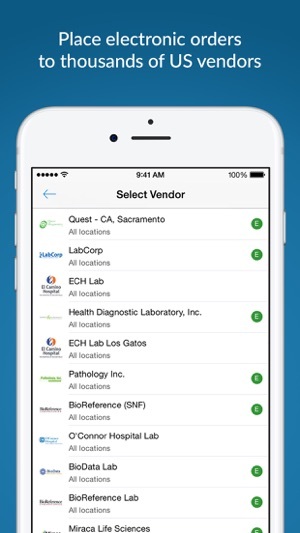 With a few taps, order labs, radiology centers, genetic and pathology results, send referrals including complete medical history to hospitals and outpatient facilities, physical therapy and surgical centers. Health Gorilla provides instant access to over 5 million providers and patient care facilities in the US and starting in early 2018, in Mexico. 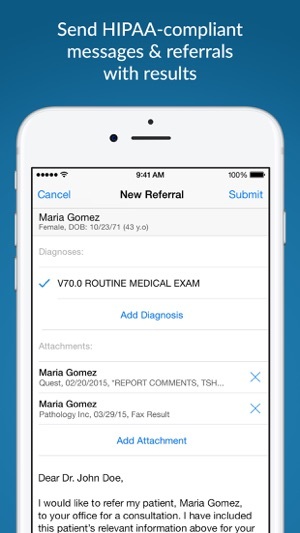 We are continuously updating our app to bring you the best experience viewing your health records. I think there’s a huge gap for online medical info but so far 6 weeks later I’m still waiting for 7 of the 8 doctors to send records. Had high hopes but it’s hasn’t really delivered and it doesn’t do much else. Shame.. Trying to get clinical data for free!!! Licensing agreement states that patient data belongs to the company. The company is getting data for free, then can easily sell data to 3rd party companies. Also, company doesn’t state HOW they deidentify data. 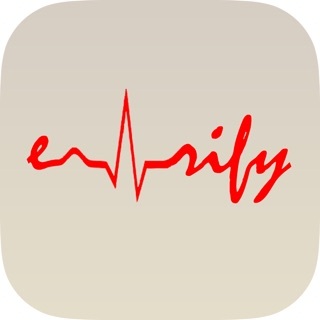 I won’t use this app, because I like my health data to remain private. © Copyright 2019 Health Gorilla Inc.